One of my favorite birds to watch and interact with. Feigning injury when you get to close to the nest. 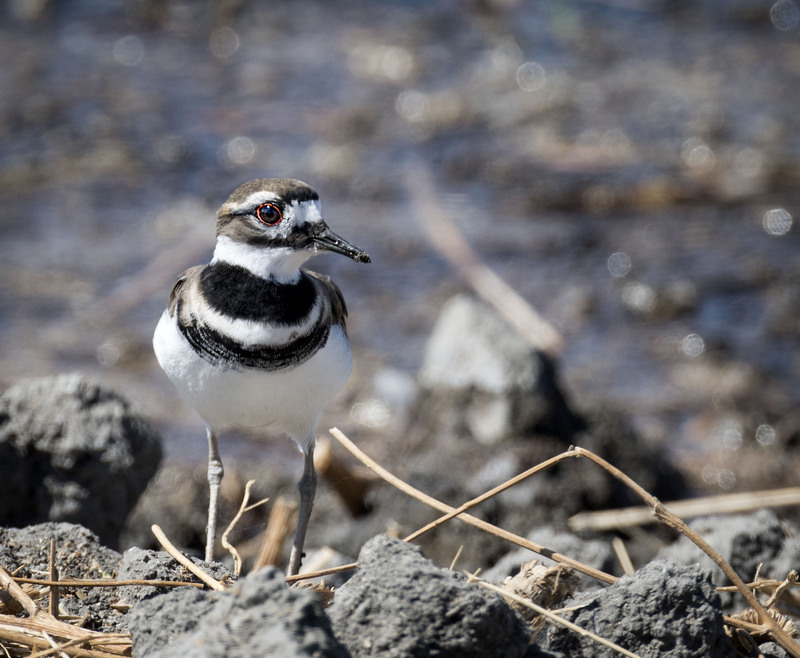 This day we just sat and watched a Killdeer forage for food along the bank of a pond. Yes! Highly entertaining! I remember watching them take turns,pretending to be injured, while two Australian Cattle Dogs tried to catch them for hours. Hours! That must have been quite a show given the persistence of cattle dogs. Nice capture Mike. I love these guys too. Thanks Joy. Hope your weekend is treating you well. These birds are so beautiful. That pattern and the ring around the eyes. I remember being fooled by one the firs time, thinking it was hurt. Hi, we had the same experience the first time we encountered Killdeers. It was spring and they sure did not want us to get too near to where the nest was.